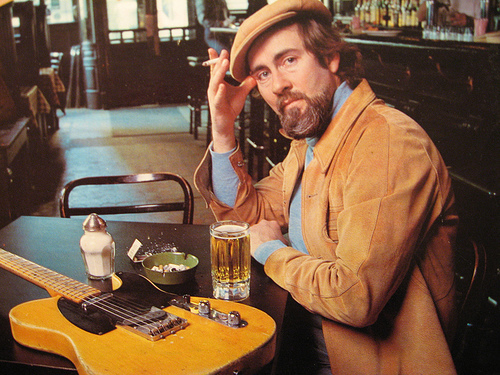 As I’ve mentioned in a previous post I’m a huge fan of Roy Buchanan. I even got myself a Nancy, well it’s a Japanese Fender ’52 re-issue Telecaster from the late 1980’s but close enough. I was watching Youtube documentaries on my lunch and came across Roy Buchanan – P.B.S. Greatest Unknown Guitarist in the World from 1971. Roy’s life story is both sad and quite amazing, you can read more about him if you click the links above. I love the fact that he had give up on music and trained to be a hairdresser when he found Nancy and that he was kicked out of The Hawks for being too weird. This is the song that made me fall in love with him and I’m still not sure if I’m more impressed by his singing or his guitar playing, Roy Buchanan – CC Rider.